A simple macro used to resample images in batch. 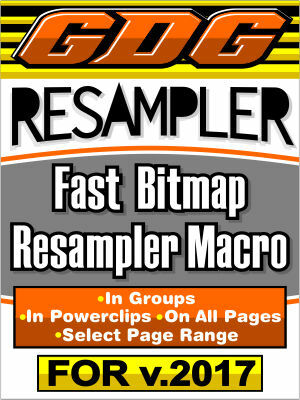 Fast resample multiple bitmaps at once in the current selection, in the entire pages, all pages, or selected pages. Works optionally in groups and powerclips. Optional single undo and ability to get bitmap count with current selected options. This macro will work in only in CorelDraw v.2017.